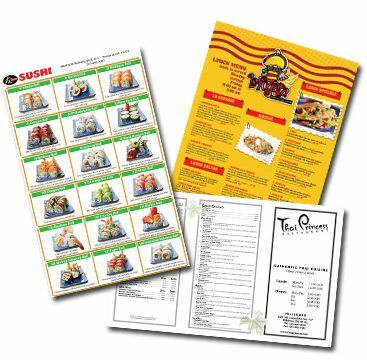 Most menus are simple lists of available food and beverage items, but a well designed menu can make a big difference in the success of your establishment. Understanding the dynamics of customer actions and reactions, and utilizing tried and true methods for successful design can make a big difference in the bottom line and success of any food service company. full color printing material and business signs is critical.